Duval Fence Company provides only the highest quality chain link fences to the Jacksonville and surronding Duval County area including Orange Park, Mandarin, Arlington, Jacksonville Beaches, Ponte Vedra, St. Augustine, Duval County, Clay County and St. Johns County. chain link Fences are consistent with durability and longivity. Residential chain link fences serve many purposes around your home and property. Because of their durabiltiy and logivity chain link fences make great property barriers. 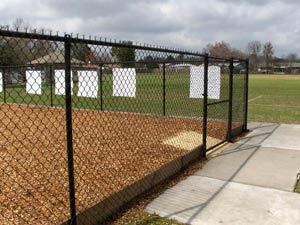 The standard chain link fence can be customized to become very attractive with vinyl wrapping and privacy slats. There are many uses for chain link fence aside from property barrier. Some considerations for chain link are custom pet fence, or dog kennel that dogs cannot chew through. With the use of privacy slats you are able to create a very low maintenance privacy fence, pool fence, or A/C and trash enclosure.